Lexus dealers will begin to feel shortages of cars this week, and definitely in May, as a result of the March 11 Japan earthquake. 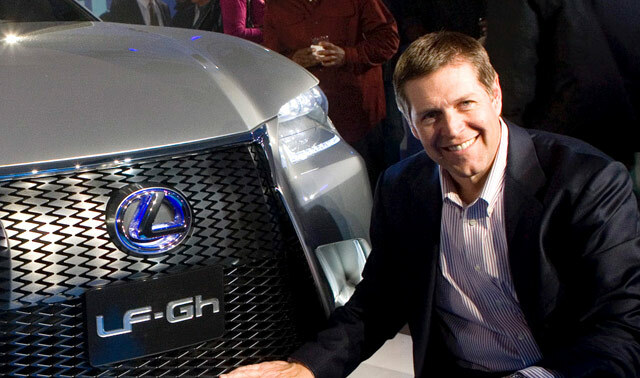 Mark Templin, general manager of Lexus Division, said dealers have a tight 30-day inventory across all model lines. Some models, such as the recently launched CT 200h compact hybrid hatchback, are nearly sold out. Lexus is acting to retain customers, such as allowing customers to extend their concluded leases by two six-month terms. Given the high lease traffic from three years ago, a record number of Lexus customers are coming off lease this summer. The expectation is that many of the Lexus owners coming off leases this year will likely purchase their vehicles, as the residual value will be higher than the off-lease price — Templin is explicit that dealerships won’t take advantage of the situation and start “gouging customers.” A standup move, in my books. No question about it, the next six months are going to be a difficult time for Lexus (especially with the CT 200h starting off so strong), but this was an unavoidable situation caused by a terrible natural disaster — there’s not much that can be done. Longer term, Lexus likely may not be the best-selling luxury brand ever again, as Mercedes-Benz and BMW move further down-market to hit fuel economy targets. “It’s being driven by regulations, not demand. It won’t be that long before some [luxury brand] is selling 500,000 cars a year,” Templin said. “If we do that, we have to grow our dealer network, or ask our current dealers to expand even more, and I don’t want to do either,” Templin said. Due to parent company Toyota, Lexus is in an unique position — unlike BMW & Mercedes, they don’t need to balance out their lineup with smaller eco-friendly models in order to meet government fuel regulations. Soon enough, both German companies are sure to see some brand dilution due to subcompact models and their price-points. Lexus, on the other hand, doesn’t need to introduce anything smaller than the CT — which might just be an advantage down the line.